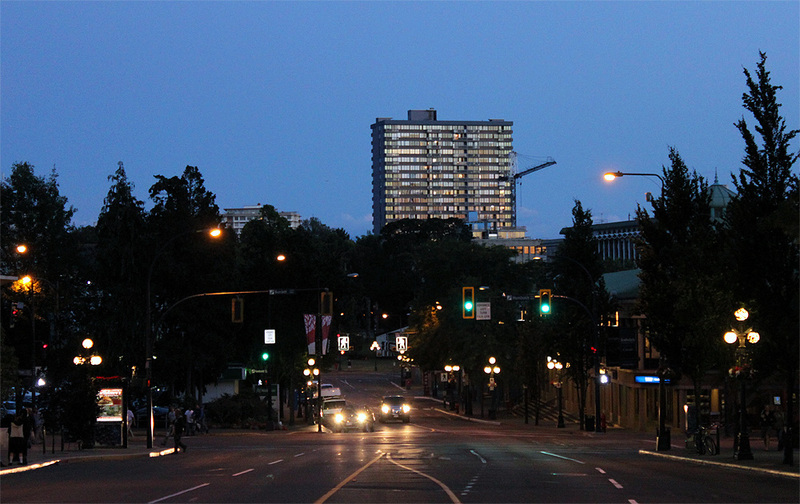 The City of Victoria's former tallest building, the 22-storey Orchard House, on Michigan Street in James Bay. The building was completed in the 1960's and was not surpassed as the City's tallest until 2014 by Promontory in Vic West. I actually really like the look of Orchard House from downtown. I like the simple look of Orchard House too. If it were skinnier and taller it would actually block less of the mountains. The 209 owners (of 99-year leasehold interests expiring Dec. 31, 2073) were hit last week with an announcement by the building's management, Westsea Construction Ltd., of a whopping $5.5 million dollar assessment (for phase 2) of window frame replacement (North/South exposure windows, vs the earlier phase 1 in 2010 of about half that extent that did the corner/ East/West windows). That cost is more than 50% higher than RJC's theorectical report outlining the usefulness of the project that included a cost breakdown of $3.6 million in March -- what's up with such an increase? Is RJC out to lunch? is this too busy a time to get a a good price on projects? Or what? ps. Farmer Construction's been chosen for the work. pps. The building used to be a beige/yellow in colour. A pair of twin buildings in the 400 block of Michigsn (?) are having their windows replaced now. JBW, I'm a former window salesman. Can you post a photo of the current windows and I can tell you what I know. Take a photo from about 10 inches up from the sill looking down to the lower track or frame. Yes, indeed (I was visiting in one of those two buildings a couple of months ago). The intercom for the resident I was visiting had been out of order for some months. I was only able to access him via cellphone on arrival. I was left wondering if residents were receiving broad hints of that character that they're no longer welcome there. pps. I truly wish I could disable the floating "STAY CONNECTED TO VIBRANT VICTORIA" / "WHAT'S HAPPENING ON CITIFIED VICTORIA" popup that often resides on the lower right corner of my screen (even, while I'm attempting to post). I find it cripples manuevering around the site but especially for scrolling in my post (eg. just now) during drafting. I have Firefox add-ons: NoScript and AdBlocker -- is there something I need to target and block that would do the trick of disabling that? Usually that goes away after you close it once by hitting the X. But it'll reappear if you clear our your cache (cookies) I think. Seberry or Mike will know better. Also, JBW, if the windows have any brand marking, that would be useful. Might be on the lock mechanism, or stamped on the glass spacer bar, if they have already been upgraded once, to double-pane (that would likely also include a 4-digit or 2-digit year date). Also, how do they open? Slide, or push out? Colour of frame (painted white/gold/dark or light brown, or just grey/silver anodized aluminum). If they slide, does the screen fit on the inside and also slide, if they have one? 9 times out of 10, I'll suspect these are Wescraft Windows brand. Thanks for the tip. Sadly, no 'X' is visible on my monitor (it's an older one, though not 640x480 thankfully), and there's no closeout option when I try right clicking that area. But I'll keep looking for the 'X' in case it makes an appearance while I'm generally navigating the site, sounds like finding and clicking the 'X' should do the trick. ps. My workaround has been to disable scripts on this site, but that's only useful for browsing. Post reply / creation uses scripts heavily so the results become messy looking when scripts aren't allowed to run. pps. ooh! On poking around, I found AdBlocking http://vibrantvictor...l/css/float.css does the trick for those with too small monitors 1024x768 like myself. Edited by James Bay walker, 16 July 2016 - 06:54 AM. Can you how this is a renoviction? This building is a leasehold, and I believe that most or all of the units are owned by their inhabitants, not by the management company. Is that wrong? This leasehold thing does seem kind of sketchy. It seems the building owner does not have to prove too much, with documents, about how they come to the conclusion about repairs. Seems it could be slightly open to abuse, especially with a landlord like Westsea. Sometimes there are disputes between the leasehold landlord and the leaseholders about repair and maintenance costs. Leasehold landlords may provide annual audit reports to each leaseholder. However, most contracts do not stipulate that leaseholders be given specific details or access to invoices and receipts for items in the report for which maintenance fees or extra assessments have been spent. Nevertheless, this information may be required should a dispute go to court. This is very different from strata leaseholds, which are governed by the Strata Property Act. Long-term leases in B.C. are subject to the principles of contract law and common law. Contract terms can vary widely from one building to another. Disputes between leaseholders and leasehold landlords that cannot be resolved by negotiation are resolved through the courts. The provincial government has no role in resolving these disputes. What is the reason there are several of these leased buildings in James Bay, old and new? Out of a total of almost 3,000 housing units in False Creek South, approximately 1,800 are located on leased land. One third of these are units in housing co-ops, one third non-market rental units and another third leasehold strata title units. Leases on City land expire between 2036 and 2046 and two housing co-op leases expire in 2022 and 2023. Uncertainty about what the City of Vancouver might decide to do when leases expire is starting to cause real problems. The most significant issue is that new mortgages – and loans for building improvements – are already becoming increasingly difficult and expensive to obtain. This is because financial institutions generally don’t want to amortize loans for longer than the term of the lease less five years. As time goes by, this will impact the value of homes and ability to borrow money to pay for necessary maintenance for co-ops, stratas and not-for-profit housing providers. 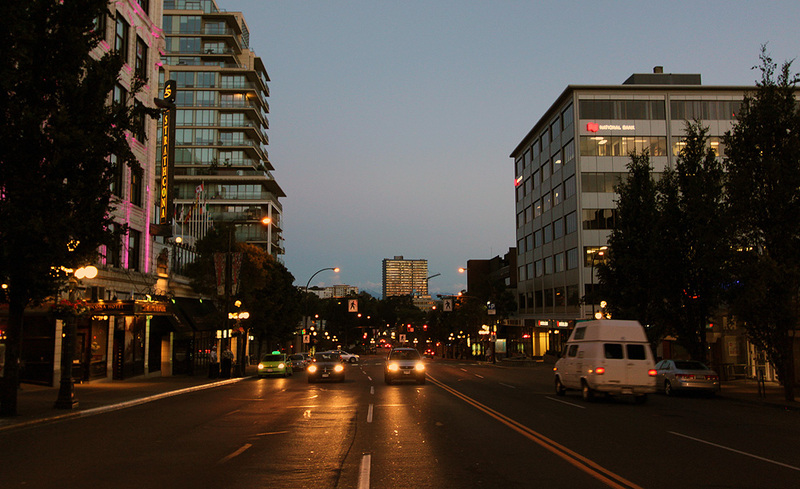 Uncertainty over tenure may cause a decline in reinvestment in structures, with the potential to trigger community deterioration in the heart of Vancouver. I think you have to figure there was some type of tax advantage to building them that way. The Vancouver scenario above, the land belongs to the City. I'm not sure what the deal is with other ones, like we have here. This article outlines lots, except the reason for them. 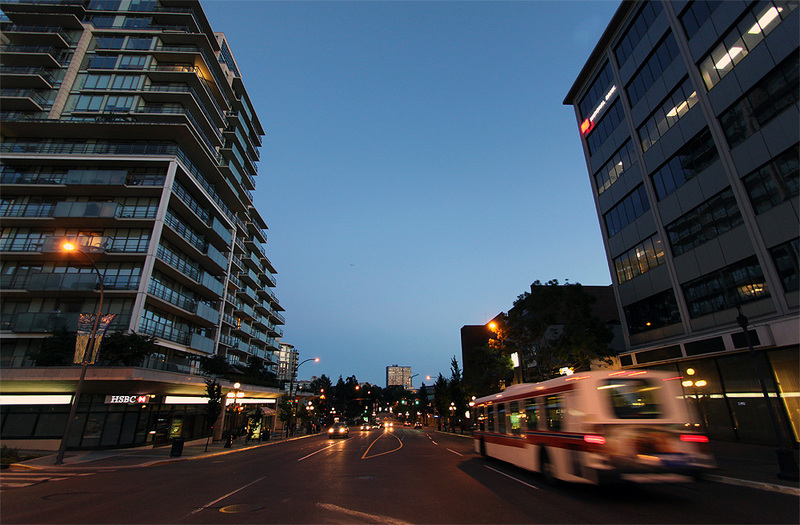 In Vancouver, there are hundreds of leasehold condos in the West End, and leasehold townhouses and detached houses in False Creek, Fairview Slopes and Point Grey. They are either owned by the city, the federal government, the UBC Properties Trust, the Musqueam native band or private individuals. Leasehold ownership means the tenant owns the right to use the property for a given amount of time, which is usually 99 years. As to whether leasehold ownership is a good deal depends on whom you ask. There are risks, such as if it's not prepaid for the term, there are regular lease payments on top of mortgage payments. Those payments could come up for renewal that is based on a much higher market value than when the property was purchased. I don't know, you get some poor sap to pre-pay his rent for 99 years (that's what it is essentially), then he still has to pay property tax, utilities, management and maintenance, and you might have a good thing going, especially if you get to set your management fee anywhere you want to. In the Westsea Vancouver case that went to court, owners faced interest of 6% if they did not pay the special fees. Heck, at today's interest rates, Westsea might have been able to make lots of money if people balked (the tenants lost the court case). Citified talking on CFAX today at 8:20am about this. Oh wow, I didn't know they had announced it. Just wrapped up. We touched on this issue just after talking about the Mayfair Shopping Centre expansion.